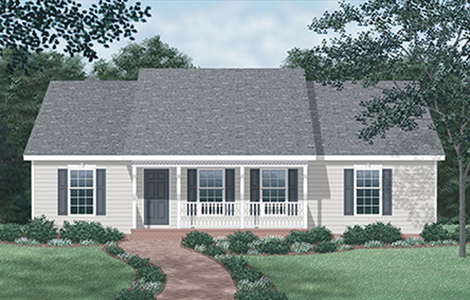 This charming 1248-square-foot home plan offers smart efficiency and lots of features designed to enhance daily living: The porch extends a friendly welcome while sheltering the front entry. A spacious family room features a prefab fireplace and easy traffic flow into the dining & kitchen areas. Relax on the back deck, or enjoy the light and the view through triple windows in the dining area. A separate utility room keeps washer and dryer noise from the rest of the house The master bedroom has a generous walk-in closet and a private full bathroom. 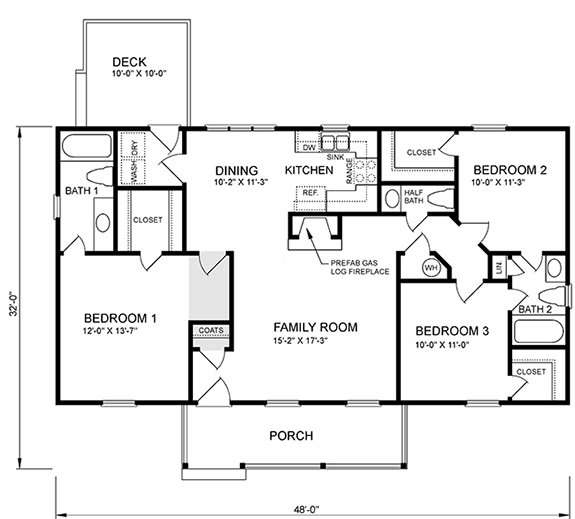 A coat closet, a half bath, and another closet lie within easy reach of the main living areas. Bedrooms 2 and three have walk-in closets and share a full bath.